Little Daddy Sherwood, otherwise known as “Sherwood the Snowman,” has never been as famous as Frosty the Snowman, but in his own way, he should be. He puts people first. The story begins in 2003 when a young father told the story of “Sherwood” to his two little girls’ age 11 and 7. You see Sherwood came to life each year on the mountaintop of Bear Mountain in New York. He would stay up there until mid-December and when the weather got cold enough and snow began to fall, he would make his way across the Hudson River into Putnam Valley. Nobody knew where he would lay down his head at night but he was often seen around Oregon Corners whisking through the streets or occasionally surprising customers at the Sunoco Gas Station pumping gas into Olds Delta 88s, Buick Electra’s or Pontiac Catalina’s (he had a passion for GM Sedans). The head mechanic George at the Sunoco loved Sherwood and appreciated his help. Sherwood was a joyful, slender snowman with no top hat and he didn’t smoke, so no pipe. 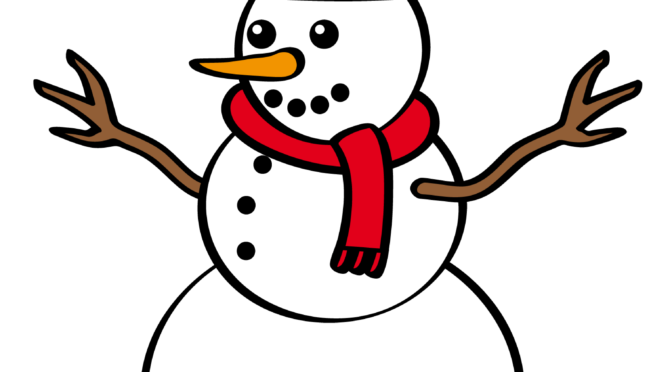 (He kind of looks like that emoji Snowman in I-phones) Frosty gets all the attention this time of year but Sherwood the Snowman is equally as special and he has a superpower that Frosty doesn’t have. Between December and March, Sherwood doesn’t melt!! It is for this reason, on special occasions, Santa calls upon Sherwood for those special missions in warmer climates to deliver presents. Some refer to Sherwood the Snowman as a Special Operator for these reasons. Sherwood occasionally will bring special presents to families and their children that hale from the Putnam Valley area. Each Christmas, three or four families get the best presents ever from Sherwood. One year this little boy received a pair of purple Converse Chuck Taylor high-top basketball sneakers. It was a joyful Christmas when this lad thought he’d be lucky to get another pair of Skippy’s, aka Caldor shoes, if he got a pair at all. PS: Little Daddy Sherwood is a big Trump supporter because when he went to Snowman School, he got in trouble for wishing a “Merry Christmas” to a group of elementary school students on a field trip to Bear Mountain State Park.